Capricorn is a cardinal, negative, earth sign ruled by Saturn. Capricorn is an Earth sign, and like other Earth signs, stability is of major importance to them, financially or otherwise. Capricorns are excellent at both creating stability and providing advice on how to create it. They possess an almost Taurian ability to stick to things and to continue with them forever, but their cardinal nature often causes them to take up new projects that need their superb management skills, so they leave what they are doing to start something new. For many years, Saturn was considered the last planet in the solar system. Thus, it came to represent the boundaries, or the borders. Capricorns may feel at times that they are forced or "exiled" to the edges; but, at other times, they feel just fine on the outskirts of events, toiling at the work they feel obliged to do (“obliged” carries a very strong persuasion for Capricorns). It is interesting to note that many pop singers and movie stars were born under this sign, so you know they can function brilliantly in the limelight; however, they don’t assume they need to be there unless they are asked. Saturn has a core of iron; hence, Capricorns’ famous stubbornness that needs to keep everything in check. However, the famous rings can tell you that their greatest reservations are played internally, and they are always harder on themselves than on anyone else. When you think about a goat, which is another symbol of Capricorn, you probably recall that it can eat anything without being much affected. The opposite sign – Cancer – often has a sensitive stomach, but Capricorns can process things that are very hard for others and be okay with that. This characteristic gives them great stamina and the ability to stay the course, until, like the mountain goat, they reach the top. The metal that belongs to the sign is lead, which is used as protection from nuclear radiation, thus, giving you another indication of Capricorns’ ability to stay and function where others are too fragile to exist. 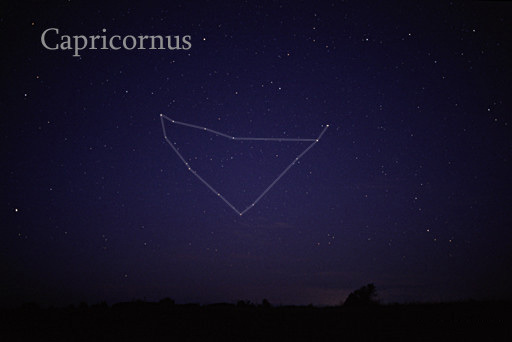 Each of the cardinal signs begins a “season”; for Capricorn, it is the winter. Here, you see the empty trees and desolate ground, but you know that the next spring is already growing inside and in a matter of time will appear. And, in regard to time, January is named after the Roman god Janus, who has two faces looking in different directions and is the god of beginnings and transitions. Capricorns have a special relationship with time; they can be slow or fast, pressured because of scheduled deadlines, or too absorbed to notice the passage of time. But, there is always a sense that time is a living thing for them, not an abstract concept. In the beginning of 2008, Pluto moved into Capricorn, and by the end of that year, it settled there for a long time to finally leave in 2024. Pluto going over the Sun of those born under Capricorn is a major shape-shifting, Earth-shattering experience. And, the coming years give Capricorns an opportunity to discover and access strengths and capabilities they didn’t know they had but will find out about in the course of those years.